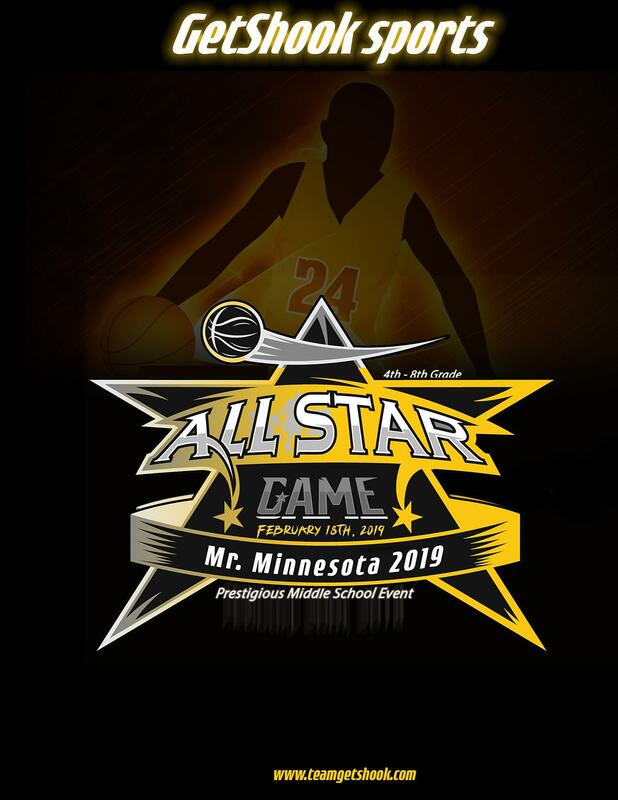 Mr. Minnesota All - Star Game & Event Schedules Monday Feb. 18th President's Day! *Teams listed home will wear Dark and teams listed 2nd will wear light color! Event Contest: Three Point shooting contest Winners Will Receive a Prize!! Minnesota top Middle School All star game boys & girls! Play against the best local and nationally ranked players in your class in the state of MN.. Coaches with high level Coaching and College playing experience. live scoring updates on social media: Twitter (HoopStarsMedia, Team GetShook). Mr. Minnesota - the most prestigious middle school Award given in the state of MN, will be given to a player at each grade level in the grade classes. Miss. Minnesota - the most prestigious middle school Award given in the state of MN, will be given to a player at each grade level in the grade classes. *Hoopstars All Team information will be released on Twitter and website. Uniforms: We ask that players wear their own uniform representing the community association or AAU program that they participated with during the winter/or summer traveling basketball season. Please bring dark and light colored jerseys. Player registration Fee: $60 per player includes a commemorative shirt. Team Formation: Players will be placed on teams, to provide the best All Star experience. Are you the next one??? Mr. Minnesota All - Star Game! ©2019 Team GetShook Basketball / SportsEngine. All Rights Reserved.